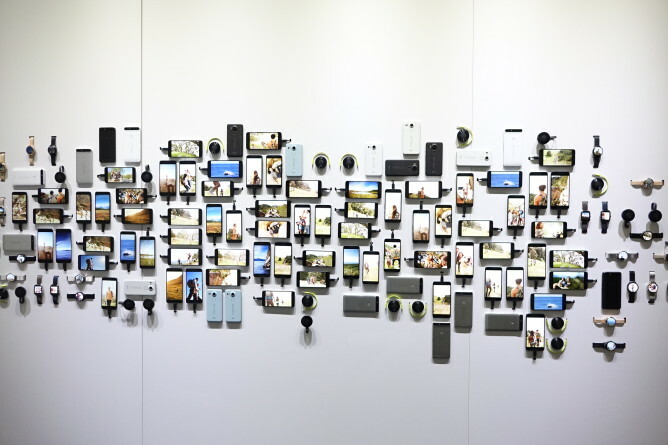 Google is a company well-known for allowing its employees to express their creative sides, and at today's Nexus / Chromecast event in San Francisco, a handful of them did just that. 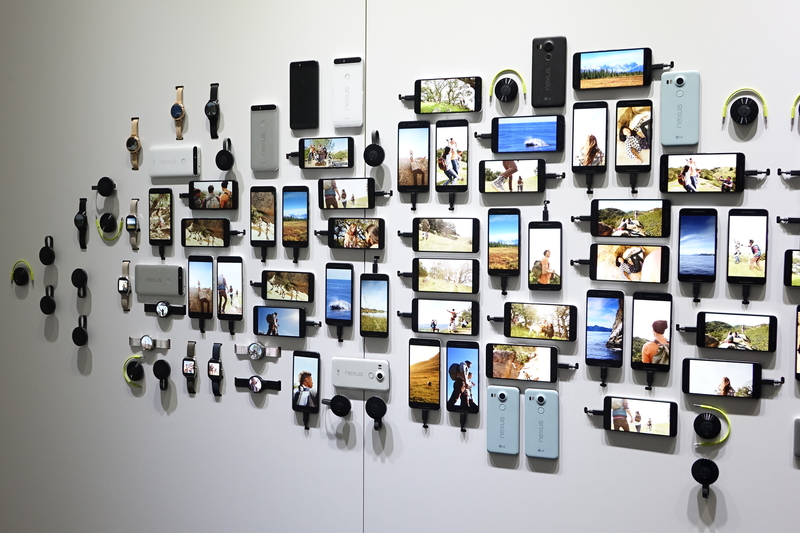 Using around 100 Nexus phones and a bunch of Chromecasts (and a few Wear devices), Google employees constructed a live sculpture of phones and watches displaying various photos. 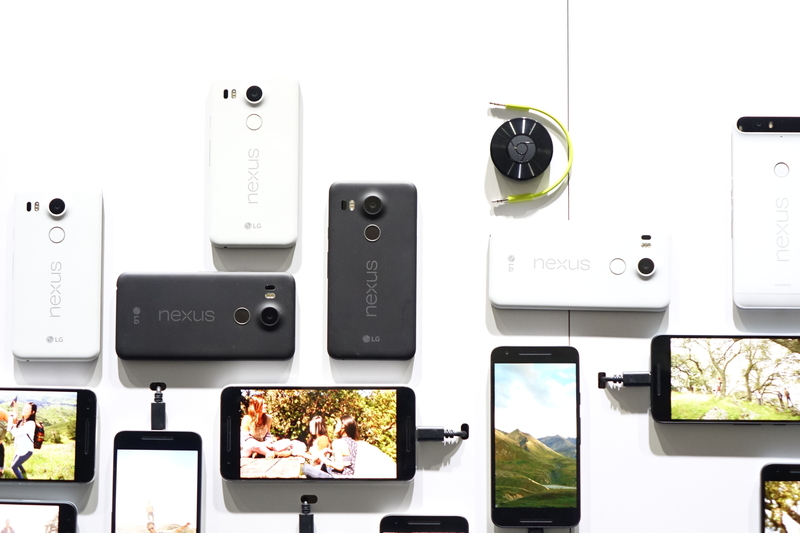 It's pretty awesome. 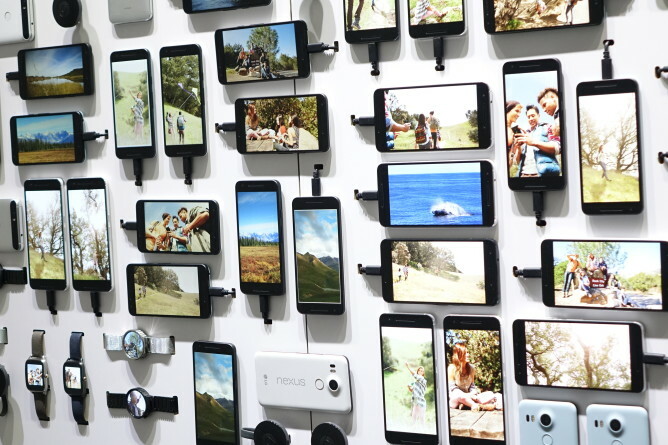 All of these devices are hooked up to giant USB racks behind the wall for power. That is a lot of USB cables. The sculpture doesn't have a functional purpose - it's just kind of awesome for being awesome. I was definitely taken aback when I saw it, and knew I had to share it with everybody (hey, this kind of work deserves recognition). Say what you will of the phones, Google definitely embraces a bit of fun at its events.